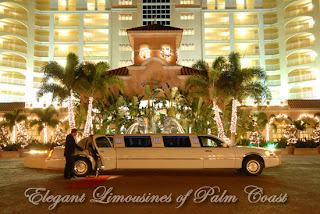 Elegant Jacksonville limos should be your # 1 choice for first class Limo Service in Jacksonville. The trust you as a client place in the hands of your transportation provider is unmeasurable. Our staff is here 24-7 to make sure your Jacksonville limo service is just what you would expect from a 5 star limousine Service. We are a Family owner and operated company. This alone tells you we have our hearts into our business.We are fully insured, registered with the state of Florida and we are permitted to service Jacksonville, Orlando, Sanford and Daytona Int. airports. All of Elegant Jacksonvile Limos Chaufers are properly licenced to operate the size Limousines we offer. The Federal minimum to operate any vehicle that transports up to or more than 15 passengers requires a class C CDL license with a Passenger Endorsment. Our service can also transport you and your family to and from Port Canaveral and Jacksonville Port in a luxurious Jacksonville Limousine. When it comes to choosing any service I know if you are like us we will spend countless hours searching for the right company. So give us a call, let us put your mind at ease then you will know you chose the right company for all of your Jacksonville limo Service. Visit our website. There you will find detailed descriptions of services we offer, pictures of our beautiful limos in Jacksonville and client testimonials.